Fruits are the nutritious source of food and cakes are the taste budding source of food, when these two are mixed together a nutritious taste delights your appetite. 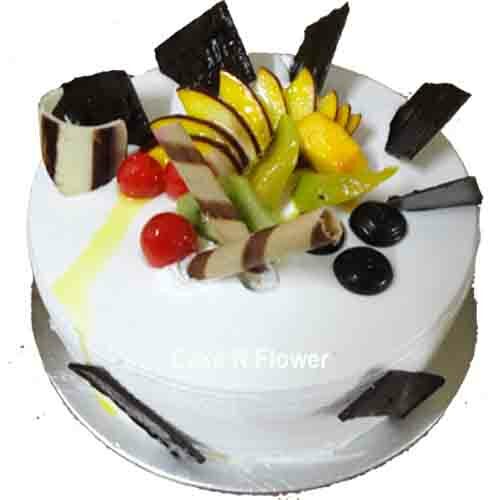 The base of the cake is covered with soft vanilla with the layers of natural cream, vanilla cream seasoned with the fresh and juicy fruits. This cake is the best sample to serve the taste buds of your guests.